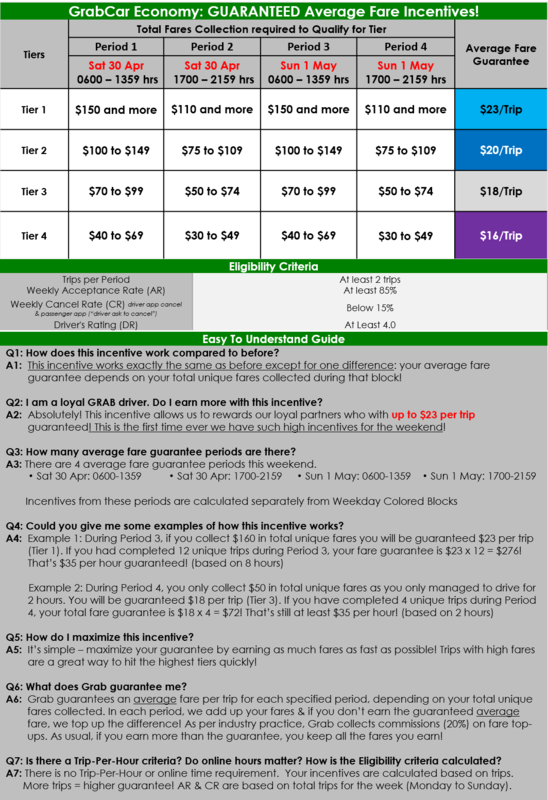 Earn Even More This Weekend! 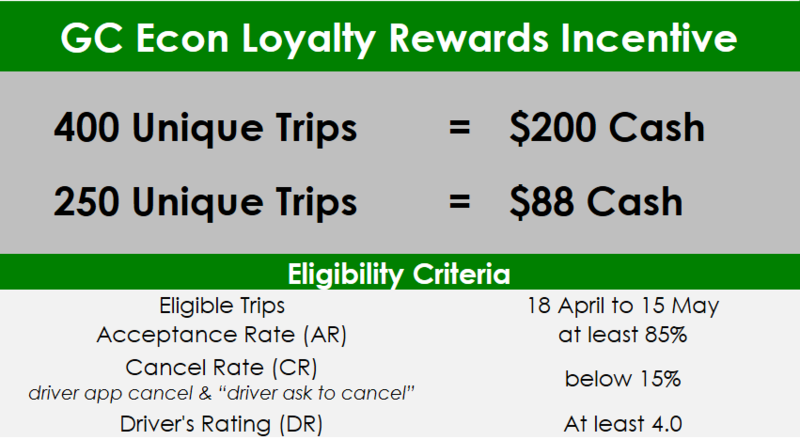 For this weekend, drive with GrabCar and you will be guaranteed up to $23 per trip! 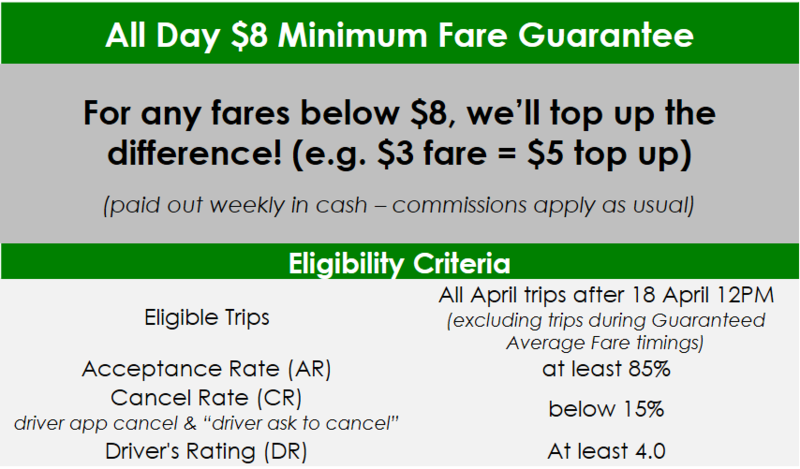 Depending on your total unique fares collected for each period, there are 4 different tiers of Average Fares Guarantees to earn! Weekends have never been more profitable! 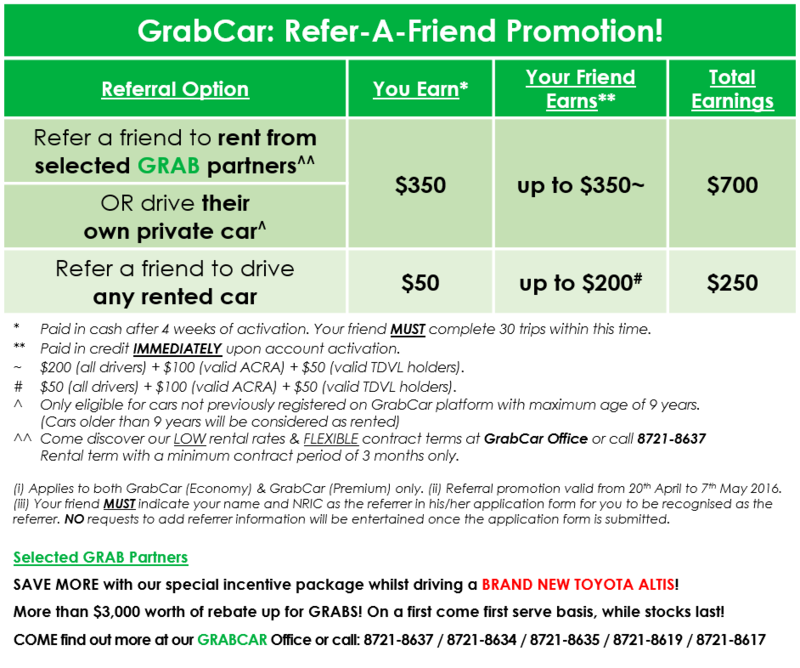 Due to popular demand, refer-a-friend promotion has been extended for another week! Refer a friend to rent from our selected partners; and you and your friend will earn up to $350 each!